Pratick started playing guitar in high school but switched to bass after being influenced by Cliff Burton and Geezer Butler. 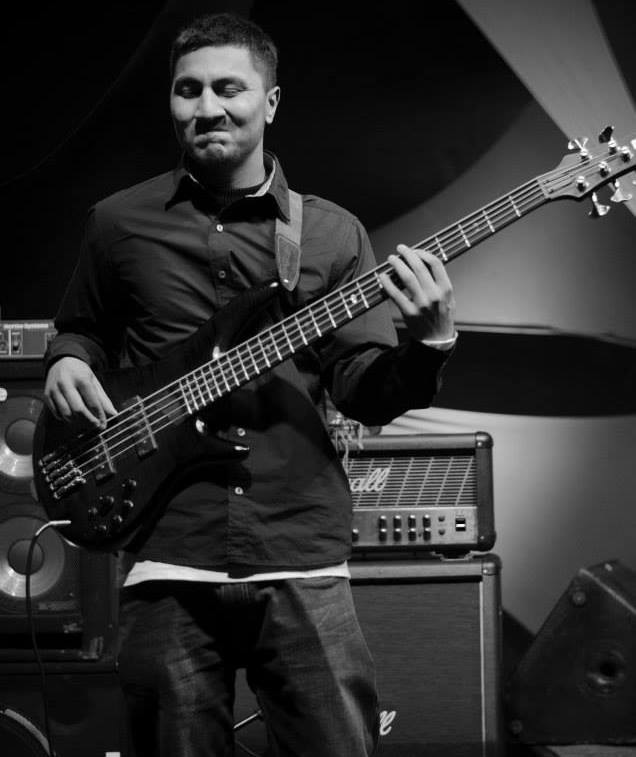 In March 2010, he joined KJC to learn bass with Rajat Rai and Marcus Dengate and soon received a KJC Scholarship to continue studies. He got opportunity to attend different master classes with Director of KJC, Mariano Abello, Bassist of 1974 AD, Nirakar Yakthumba, Dr. Gene Aitken, Jazz Music Educator from US and Bob Sands from Spain. He also learned some basic piano skills with Mayo Shimonishi, Japan and Juan Ortiz, Spain. During musical journey he has performed in various KJC concerts, gigs and some concerts in India too. In June 2013, he joined KJC as a junior bass teacher and also teaching music theory and ear training at the moment. In November 2012, he also started learning Trombone as second instrument and played as a horn section in band What the Funk and also performing with the famous band1974 AD. He also works as session bassist and can be heard in some songs of Rohit John Chhetri, Ashesh Rai, Monkey Temple, Rustynails to name a few. His main influences are James Jamerson, Will lee, Fransis Rocco Prestia, Jaco, James Brown, Anthony Jackson and more n more at the moment. He has played in various bands like Madjazz Quartet, What the funk, Cultivation and the Himalions, KJC Nepal Army Big band, Majipa and several other blues and soul RnB bands. He has played with many international artists that have come to KJC like Ted Piltzeker, Ray Heberer, Billy Buss, Chloe Van Der Lek and many more.